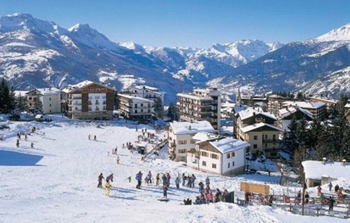 Famous for its apres-ski, Sauze d'Oulx manages to surprise many visitors. The ski area is extensive and varied, linked to Sansicario, Sestriere, and also Montgenevre just across the border in France. There are pretty, quaint little cobbled streets in the old part of the village, and it is a popular weekend retreat for Italians from Turin or Milan. It was the site of the Freestyle Skiing events of the 2006 Olympic Winter Games. Together with the villages of Pragelato, Sestriere, Claviere, Cesana Torinese, San Sicario and Montgenèvre, in France, it makes up the Via Lattea (Milky Way) skiing area. Sauze is located on a sunny plateau at the north end of this extensive ski area. The skiing is excellent for intermediate skiers and boarders with long blue runs and challenging reds. Much of Sauze's reputation is built on the apres-ski activities. Sauze comes to life when the lifts close with an excellent choice of bars, restaurants and clubs offering live music and DJ sets long into the night. torchlight descents, skidoos, cinema, good range of lively bars and restaurants, weekly market.